We often make assumptions when it comes to designing, modelling and taking decisions. Assumptions are made because sometimes we do not simply have credible data, complete information about the subject or deep enough a knowledge. Assumptions become our best guestimates. Many times, time and resources constraints (both financial and human) compel us to make assumptions and just move on with decisions. Nothing wrong. Many analysts state the assumptions (done often in an apologic tone! But a practice so ethical and good), and some generate scenarios (optimistic, pessimistic as examples) that lead us to taking better decisions. Unfortunately, some don’t just care and leave to the reader or user of the outcomes. Sometimes, we keep making assumptions over a long time, over decades of practice and so we don’t even realize what assumptions we are making! That is some concern. Take example of designing of urban water distribution network. For designing this system, we first lay down network of pipes and nodes along with road network and superimpose the land use. We then allot a zone around each node for lumping the water demand that has mixed land use of today (or the most recent one). This land use around the node is often assumed to remain the same for next 20 years for which is network is to be designed. We account for this fallacy by projecting population in the zone using a model that mimics the past growth of the city (not at node level) based on some limited data. In-migration or changes in Floor Space Index (FSI) are difficult to accommodate in these projections. When it comes to projecting commercial and industrial demands, we run into difficulty and so we make further assumptions. Well, then we start assuming per capita water demand and follow the “norms” as applicable. This factor (e.g. 200 lpcd) is often held constant over next 20 years irrespective of changes in water use due to technology, availability, affordability and pricing of water. We assume that the demands are concentrated at the nodes and are not exerted along the pipe (as is the actual reality). We apply a peak factor to get peak demand which is another major assumption. We further assume that all demands at the nodes are acting simultaneously! Finally, we use for hydraulic calculation (i.e. to calculate flow in pipes and pressure at node) a model such as Hazen Williams with a magic coefficient C that is itself built on several assumptions!! And one more final assumption we make –tacitly so – that water supply equals water demand. 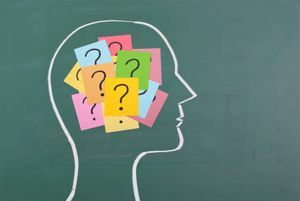 The net result of all these assumptions can be elegant as we feel that we solved the design problem finally – getting across all the hurdles through assumptions! We see several software tools today that spew detailed outputs, plot pressure contours and provide what if scenarios if pipe diameters are changed, valve setting is changed or reservoir height and location is shifted. We also have software codes that optimize the design for costs. I myself did one called LOOP Version 4.0 for the World Bank way back in 1990. But all this makes a sense for making publications in the Journals I suppose. Design of urban water distribution network was one example of “cascading assumptions”. But umpteen such examples exist in environmental systems such as modelling of pollutant dispersion, assessing health risks, conducting Life Cycle Assessment, designing common industrial effluent treatment plants etc. I would urge students reading my blog to “research” on some of these examples to pull out the range of assumptions we make. It can be both revealing and inspiring to address. It’s the learning from actual operation of the system that counts. More you learn about the behaviour of the system in practice, more data we collect and apply good analytics to the pooled information, discuss performance through roundtables and share the outcomes, more we will become knowledgble to make better assumptions. Imagine, if we processed the actual data from some of our operating water distribution networks, how confident we will be when engaged with network redesign, strengthening or improving on the operations. A practice we rarely follow today in India. This is where research and practice should merge. There is nothing wrong in making assumptions. Assumptions are inevitable. We have to know however more about what we assume, their consequences and keep improving on our judgements by examining the reality. We need to be transparent and responsible in disclosing assumptions and learn how to live with them. In India, as in most countries, permits are required to establish and operate businesses that have environmental and social sensitivities. The Pollution Control Boards (PCBs) in India require businesses to obtain consents to establish and operate, following a well-laid-down review and permitting process. These consents prescribe the conditions that are to be met. The conditions generally refer to the mitigation plans, the monitoring and the reporting. Inspections are then carried out by the staff of the PCB to check the compliance. The consent to operate requires to be renewed after a stipulated time period. The business on account of economic conditions, labor issues, dispute etc. sometimes shut down their operations and exit. There are several approvals required in closing down the business. However, there is no consent required from the PCB. Many businesses in their exit phase simply spew away pollution and residues causing serious concerns to the safety of workers and neighborhood and the environment. There are instances when sludges and rejects were injected into borewells on the site or buried in the top soils. Barrels and contaminated sacks and such packaging materials are left on the site. 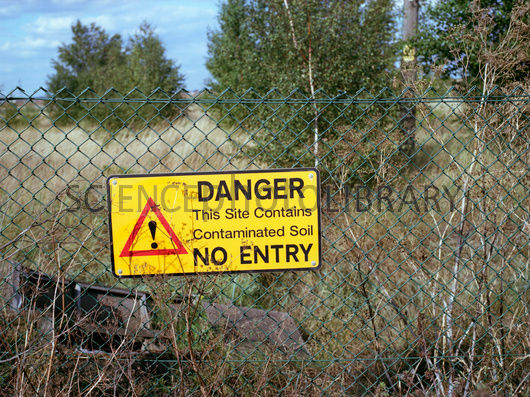 In effect, the site is deserted in a contaminated state and it continues to pollute natural resources, causing a liability to the next occupier. In India, we do not have site assessment as a formal requirement. We do not have regulatory frameworks e.g., standards, to address the issue of contaminated lands. So when serious issues of land and water contamination get reported, the PCBs step in and act suo moto to remedy the site and recover the remediation costs from the polluter. The costs of remediation are often high and implementation takes quite some time. In-country experience on remediation is also low. Besides, identifying the ‘culprit’ is often difficult and one needs to use advanced techniques of environmental forensics to know whom to blame. Consent to close will require conducting site audits by the PCB or a PCB-accredited agency. 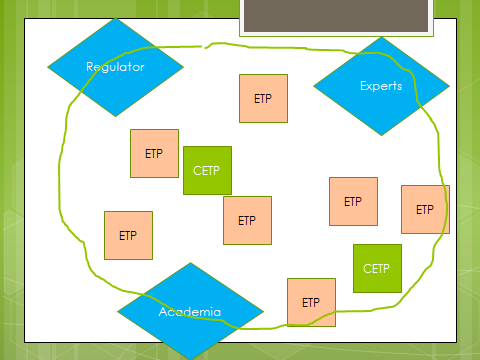 Financing institutions and regulatory agencies (e.g. industries department or factories department) may insist on obtaining consent to close from the PCB. This requirement will help avoid dumping of wastes and residues by the industries during operations or prior to closure. A requirement for consent to close may avoid to a great extent instances of site contamination and subsequent remediation. Perhaps the TSR Subramanian Committee set up by India’s Ministry of Environment & Forests & Climate Change for reforms in Environmental Laws in India should consider this proposition. regulators, the Pollution Control Boards (PCBs), do not think that it is critical to insist that operators running the wastewater treatment plants have the necessary training. 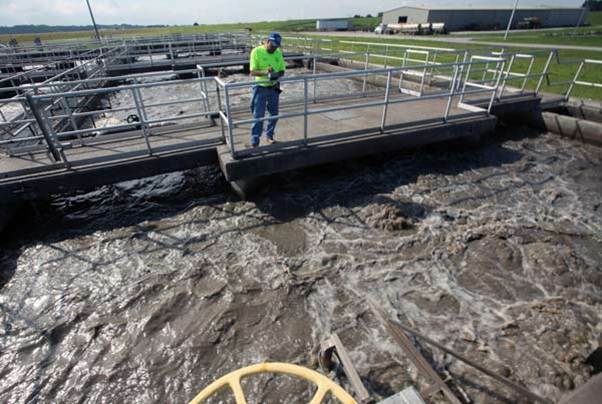 Programs for training and certification for operation of wastewater treatment plants have matured over the decades in countries such as Germany (i.e. the German Association for Water, Wastewater and Waste or DWA) and United States of America (i.e. the Water Environment Federation). In these countries, certification of operators of wastewater treatment plants is a full-fledged industry and a career for young professionals. I do not know how many wastewater treatment plants are ‘registered’ or are under the scanner of PCBs in India. I don’t recall any recent work done on such an inventorization on a national scale. But as a guesstimate, the number could well be close to a 100,000. And if we assume an average of 4 operators at each treatment plant, then we are talking about training and employment of 400,000 to 500,000 young professionals!! limits for general parameters pH, BOD, COD and TSS but 15 of these were not able to comply with the prescribed limit for TDS. Who should take the lead in designing and conducting training programs for treatment plant operators? How do we make certification a requirement? These are important questions to answer. I have been lobbying for the above steps for past 2 decades and have attempted models through PCBs, roping Industrial Training Institutions (ITIs) in India. One of the major constraints that were found was absence of trainers and involvement of industry associations. operator certification is introduced, we could build such a ‘culture’ and identify treatment plants wherein such data could be pooled. These plants, called ‘research plants’ could be interfaced with academia where students and faculty could work to develop design and performance equations – something really required for improving our understanding of the process and practice. Importantly, such data over national scale will lead to building benchmarks – e.g. on energy consumption– and provide guidance for optimization of costs and improving the performance. So let us work together to achieve these objectives. I would urge you to take this as a mission at the national level. Green buildings mainstream sustainability in planning, layout, orientation and design, while making choice of material, source of energy, fit outs and technology. The idea is to reduce life cycle impacts/risks. Several green rating systems have emerged in the last decade that guide and inspire architects, planners, builders and material / equipment suppliers to come up with buildings with various shades of green. Focus has also emerged on low carbon buildings where greenness of the building is assessed based on Greenhouse Gas (GHG) emissions. These buildings are called as low carbon or climate responsive. We should by default build every building green. While much attention is given to the greenness of the building on its “built form”, communication of its green features to the occupiers is often overlooked. The use phase of the life cycle of the building thus faces a disconnect and sustainability is confined to ‘half of the circle’. Green buildings typically have a rainwater harvester, a vermi-compost pit and grey water recycling unit amongst several other features. You sometimes find rainwater harvesters discontinued as they become a source of mosquito breeding grounds or compost from vermi-compost pit does not get used in the gardens or practices of grey water recycling are abandoned due to foul smell. Reasons are several – some of these are low understanding / sensitivity, lack of ownership and many times sheer neglect and poor maintenance. Efforts are needed to ensure that occupiers to a green building understand how to live green! 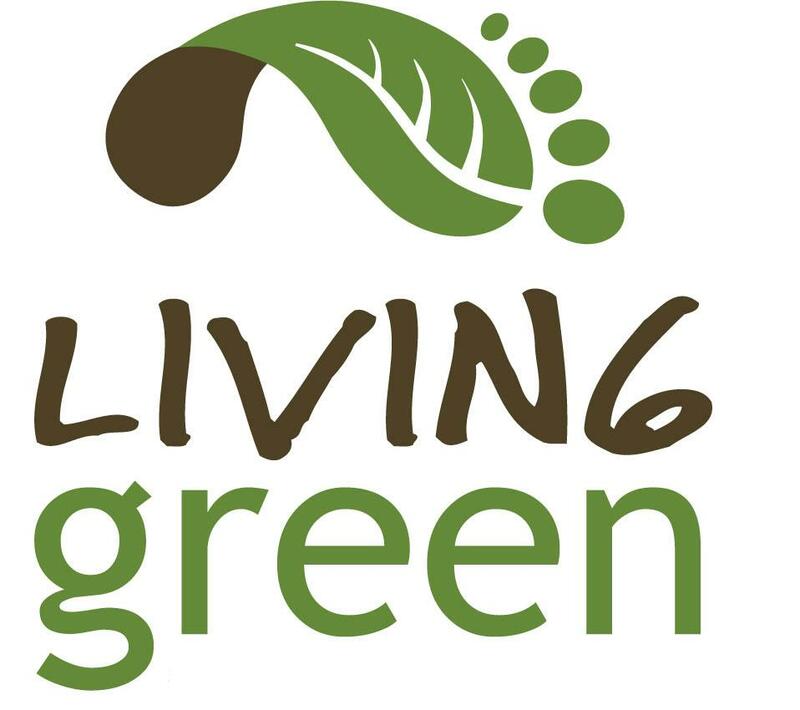 Living green actually changes occupier’s mind-set and lifestyle so as to make staying in a green building more meaningful. This is where the term sustainable habitat comes in taking us beyond physical form of a green building or green infrastructure and bringing in sustainable lifestyles. Several years ago, I visited Hammarby Sjöstad, an exciting district in Stockholm where the City imposed tough environmental requirements on buildings, technical installations and the traffic. Accordingly the Stockholm Water Company, Fortum and the Stockholm Waste Management Administration jointly developed a common eco-cycle model. (See http://www.hammarbysjostad.se/ and download the “environmental map” at http://www.hammarbysjostad.se/inenglish/pdf/HS%20env%20map%20nov%202011.pdf). I spent the whole day walking around the district and spoke with the residents. While there are several innovative materials and technologies used, one of the unique initiatives of Hammarby Sjöstad is the Environmental Information Center. This Center is built to educate the occupiers of the green buildings and make them aware on how to live green. The Center showcases green materials, green gadgets/fit outs and green technologies. It holds short seminars, screens films and arranges exhibitions for residents as well as district neighbourhood. The Center called as GlashusEtt plays a role of a hub or environmental community centre. Indeed, every green building townships we build should have a GlashusEtt. Mere physical green form is not enough. Green ratings or certificates may not be given one time on a permanent basis but renewed based on how the green buildings are actually used by the occupants. It’s like asking for a green occupancy certificate. If we really intend to promote sustainability in our built forms, then let us not just build green but learn how to live green!